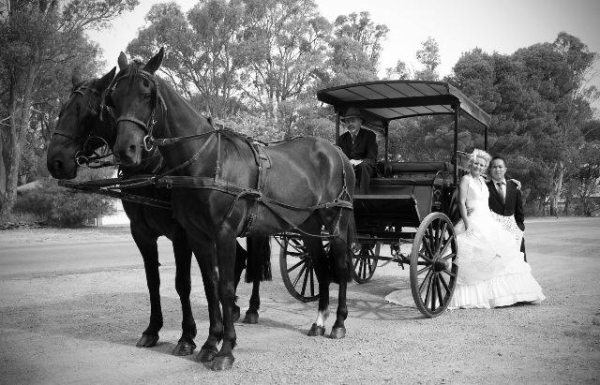 Join Barossa Carriages and host Rob McDonald on a romantic and scenic horse-drawn carriage experience. Sit back and relax in style on this idyllic journey perfect for your special occasion. Create an extraordinary and unique customised wedding experience by arriving in elegance with a backdrop that makes for wonderful photographs. The horse-drawn carriage is a magnificent way to experience any special day and create unforgettable memories to cherish.